Clients | The Cohen Law Firm, P.C. AOV maintains a strong reputation in the highly competitive screen printing, embroidery and promotional product industry. We maintain focus and attention to our customer needs. There are a lot of print and fulfillment companies out there, but you look for one that gives you the attention you deserve. When you are in the corporate and event industry, it’s not only about the quality and price of the product…it’s about peace of mind!! Our state-of-the art facility and equipment, paired with a dedicated staff, is ready to meet your every need. Combine that with over 30 years of experience and there is almost nothing we haven’t seen or done. We have created a fully integrated operation system to Boulder Center for Cognitive and Behavioral Therapies provide optimal service from order placement to delivery. We have been fortunate to work with The Cohen Law Firm for our personal, business, real estate and estate planning. It is so nice to be able to have one contact for each of these needs. They are always quick with advice and taking care of any of our ongoing needs on a daily, monthly, quarterly or annual basis. Great fulfillment of all our accounting needs! Boulder Center for Cognitive and Behavioral Therapies is a management services organization based in Boulder, committed to promoting evidence-based psychotherapies that facilitate change. The partners of BCCBT maintain independent private practices and treat a wide range of problems, especially anxiety, mood disorders, sleep disorders, and marital distress. Jeff has been a valuable resource as a consultant on both legal and tax matters. He is quick to respond to inquiries and generous with his time and knowledge. I’ve referred multiple colleagues and relatives and all have been pleased with his services. 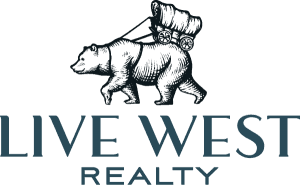 Their agents are local experts with unparalleled knowledge of the Boulder/Denver area real estate market and are committed to using their expertise to help you find a place you can truly call home. Jeff has provided excellent guidance since the formation of our company, and has been an excellent resource ever since. We have been very pleased with Jeff’s knowledge and level of customer care, and highly recommend his services. We are a dental practice devoted to restoring and enhancing the natural beauty of your smile using conservative, state-of-the-art procedures that will result in beautiful, long lasting smiles! A standard of excellence in personalized dental care enables us to provide the quality dental services our patients deserve. We provide comprehensive treatment planning and use restorative and cosmetic dentistry to achieve your optimal dental health. We have been working with The Cohen Law Firm for years now, and couldn’t be happier. Jeff and his firm continue to be thorough, prompt and insightful in all aspects of their expertise. We feel fortunate to have been referred to them by colleagues and have no hesitation recommending them to our other colleagues in the dental profession as well as to friends and family. TruScore is an assessment company with over 4 decades of experience in 360 degree feedback and assessment customization. We offer a fully managed solution, where our team of experts serve as an extension of your internal team, and where our success is tied to yours. Working with The Cohen Law Firm has been a great experience. Its team responds promptly and thoroughly to our inquires. The tax documents we receive from Cohen’s office are much easier to read and comprehend than the documents we received from previous tax specialists. Our team is very pleased with the work and professionalism of the firm. Our mission has always been the same: Help clients achieve their real estate goals while giving the highest level of customer service possible! Alison and I are the team, so you deal with us directly, never an assistant. We have a combined 35+ years of real estate experience in Boulder county and Denver, making us knowledgeable about many different locales. Our goal with a buyer is to understand their wants and needs to save them time and aggravation when searching for a new home. With our understanding of the market, it can make for a pain free and, yes, even fun experience. We have been clients of Jeff Cohen and The Cohen Law Firm for a long time. Jeff is very good at making sure all the small details are covered while helping guide us to our larger financial goals. Great customer relations and service! RSW Solutions is a company dedicated solely to the development, manufacturing and sales of computer diagnostic equipment for Land Rover vehicles. The products that we design and manufacture were born out of pure necessity through personal ownership of Land Rover vehicles. We are entering our eleventh year of business and have been fortunate enough to have thousands of satisfied customers. Pediatric home occupational therapy serving children with developmental disabilities. To meet your medical and rehabilitation needs, Alliant Home Health provides exceptional nursing and therapy services in the comfort of your home. Once your doctor refers you to home health care, a nurse or therapist from Alliant Home Health will come to your home to talk to you about your health and medications. We consult with your doctor(s) to set up a plan of care specific to your needs. Locally owned and operated with offices in Lakewood and Fort Collins, we proudly service communities across the Front Range. Black Diamond Financial Group, LLC (BDFG), headquartered in Denver, Colorado, provides capital and advisory services to entrepreneurs. BDFG manages a series of limited partnerships involved in venture capital investment. BDFG invests in opportunities created by new technologies, expanding markets, and underdeveloped assets. Jasper Animal Hospital’s goal is to work with both patients and guardians to arrive at the best solutions to their health issues in order to maximize the quality of life for all. We strive to accomplish this by providing the best of care in a friendly, less clinical atmosphere. Each member of Jasper’s medical team and support staff makes every effort to have our patients’ visits be as easy and painless as possible. Established in 1997, we are Boulder County’s quality residential remodeling and new construction company. Our reputation is a result of the care we put into each detail of our clients’ homes. Major remodels, additions, and new custom houses make up the bulk of our work. InterNACHI is an IRC 501(c)(6) non-profit trade association headquartered in Boulder, Colorado that has more than 22,350 active home inspectors who trust InterNACHI for training, certification, business coaching, and marketing support. Nothing on this site predicts or guarantees future results. The links to third party sites are not intended as, and should not be interpreted by you as, constituting or implying our endorsement, sponsorship, or recommendation of the third party information, products, or service found there. We do not maintain or control these sites and accordingly make no guarantee concerning the accuracy, reliability, or currency of the information found there.